In the year of 1905, 11 year old Frank Epperson stirred a package of soda mix into a cup of water with a stick and accidentally left the concoction on his porch overnight. The temperature outside dropped enough that when Frank returned the following morning, he found a delicious frozen treat, complete with a handle. Eureka!Nevertheless, it seems like frozen novelties have been around for as long as humanity has been able to harness ice in the warmer months, as the chime of an icy treat is a relish to the ears (and taste buds) of everyone on a hot day. The summertime appeal of ice pops, or as they’re properly called ‘Popsicle’ is a vibrant and sugary treat which is a manageably small snack in an age of gargantuan portions. Nevertheless, the Popsicles you buy at the local corner store tend to be extremely sweet and neon bright, thanks to an abundance of high fructose corn syrup and artificial colours. 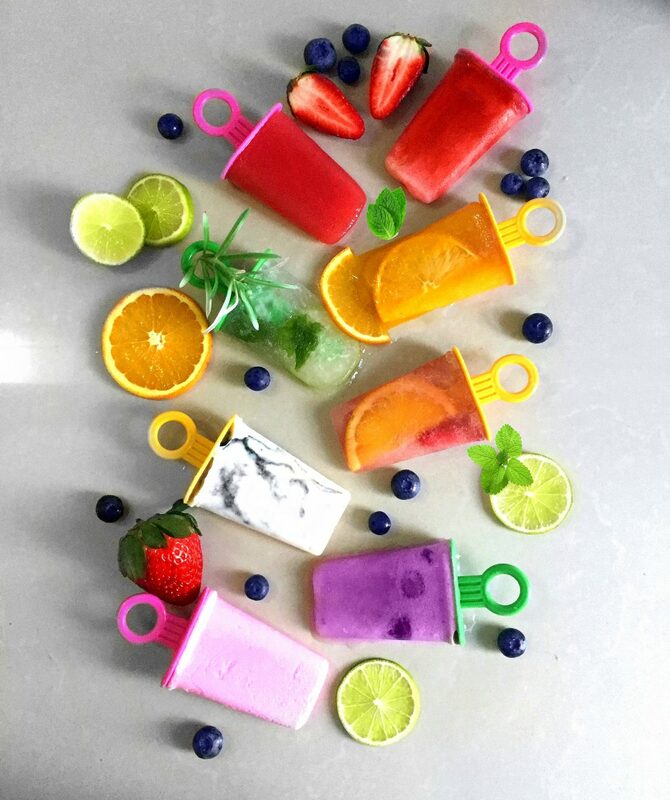 Thankfully, this is something you can easily remedy, since it’s child’s play to make ice pops at home as long as you have a blender, ice-pop molds and a freezer. My popsicles are made from fruits purchased at the store and are portioned controlled, which limits over consumption by those watching their waistline. As you can see, popsicles are enjoying a revival on the artisan food scene. Just imagine a flavour, and voilà! Coming home from university during a scorching hot day and being greeted by these treats the moment I open the refrigerator in a subconscious mind does wonders to the eye, and the tastebuds. 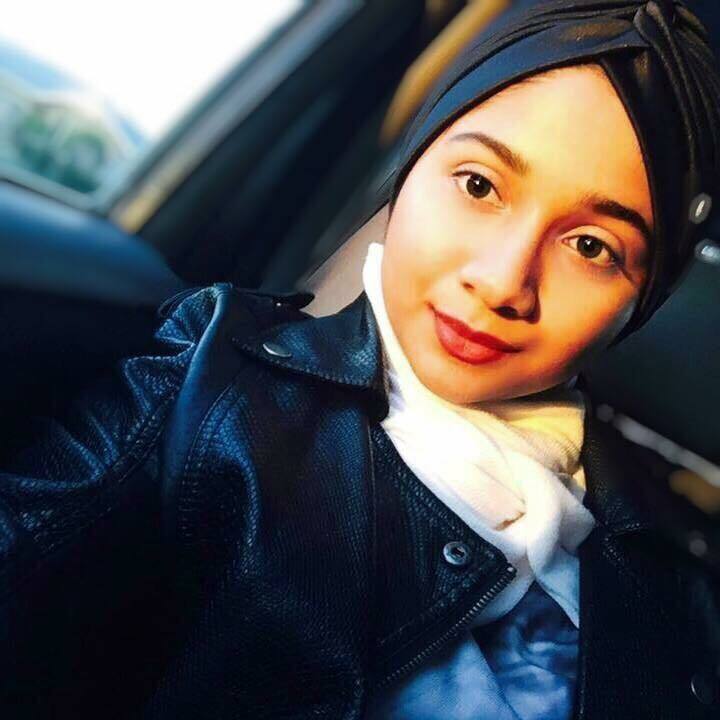 Avocados have become a necessity in our diets and beauty regimen. We’ve figured out how to make them ripen faster, how to prevent them from browning and how to stuff them with eggs and lather them on our face and hair. But have you tried them for dessert? Behold, the avocado popsicle! Combine a fresh avocado, 1 cup of coconut milk, 2 tablespoons of honey and 2 tablespoons of lemon and blend on high until smooth. Once done, pour the mixture into molds with sticks and place ’em in the freezer. Freeze these treats for at least 4 hours until the popsicles are solid. To remove popsicles from the molds, submerge the molds into room temperature or slightly warm water for a couple of minutes. Lastly, remove from water and pull popsicles out. Voila! Aside from looking and sounding so vibrant, they’re packed with flavour. 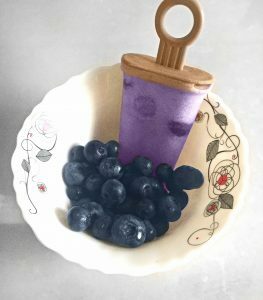 Blueberries are the base of this recipe and they dominate most of the flavour, apart from providing health benefits including antioxidants, fiber, vitamin C and more. In a blender, add 1 cup of blueberries, a handful of mint leaves and 1/2 cup of honey. Turn on high and blend until the mixture is smooth. Freeze, and serve. 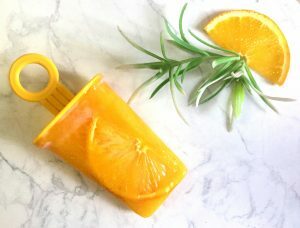 A mango popsicle is a lovely way to get a daily serving of fruit and curb a sweet snack craving all at the same time. I used a mango combined with citrus juice, blended and froze ’em! Long gone are the days when we saw this texture only for flooring and in bathrooms. I am obsessed with anything marble, so it’s no wonder that I managed to pull this off! Add a cup of naturally sweetened yoghurt into a bowl and add a flavouring of your choice, to which I chose vanilla. Stir them for 30 seconds and pour the mixture into the mould(s). 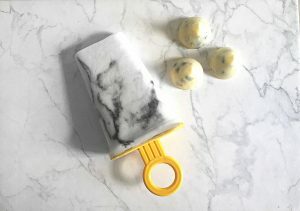 I used a wooden skewer to swirl black gel food coloring into the yoghurt, creating a marble effect. My favourite drink just got a makeover, and it is a breeze to make. 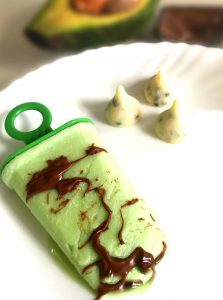 My mojito popsicles are are full of mint flavour and a hint of lime! 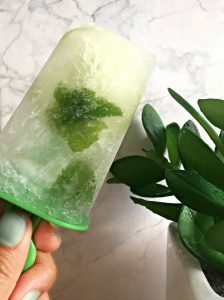 Mint Leaves OR Syrup + Lime + Soda + Sugar OR Syrup is a winning combination so I decided to have some fun with it and freeze it, because the only thing more refreshing than a mojito is a mojito popsicle. Rose Milk is a childhood favourite of many, and its’ goodness in a popsicle is one which we cannot resist. For this, I used one cup of condensed milk, 3 tablespoons of rose syrup and and 2 table spoons of sugar. Nevertheless, I adjusted the rose syrup and sugar according to my preference and made sure that the rose milk was sweeter than when I drink. 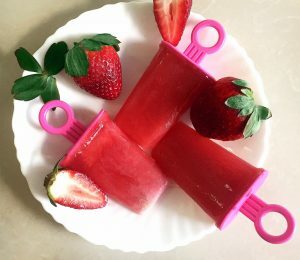 Since I am keeping cool with frozen goodies, strawberry popsicles served as a great addition and brought back a wave of nostalgia as fresh strawberries were my go-to snack when I was a child. I cut out 1 pound of strawberries and blended them until I had a puree. Next, I added 1 cup of vanilla yoghurt and 2 teaspoons of vanilla extract into the mixture and blended once again. Lastly, I prepared to freeze in moulds, and froze. 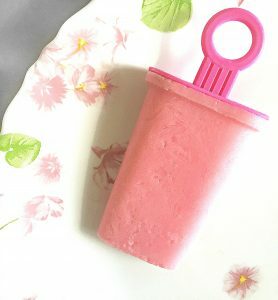 Those are some homemade popsicle recipes I have tried and tested, yet I am determined to try more. If a fancy recipe is brewing in your mind, do not hesitate to try it, and make sure to leave it in the comment section below as well! I hope y’all have a lovely day!